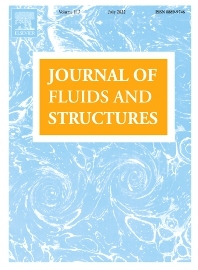 The Journal of Fluids and Structures serves as a focal point and a forum for the exchange of ideas, for the many kinds of specialists and practitioners concerned with fluid–structure interactions and the dynamics of systems related thereto, in any field. One of its aims is to foster the cross–fertilization of ideas, methods and techniques in the various disciplines involved. The journal publishes papers that present original and significant contributions on all aspects of the mechanical interactions between fluids and solids, regardless of scale.